The VersaLink C400 and C405 revolutionize workplace productivity with next generation features and easy, instant cloud and mobile connectivity. Built for the way you work today, and ready for where you grow tomorrow-with all the flexibility and versatility your business needs to work better with minimal IT support and maximum security. Right out of the box, you'll count on your VersaLink C400 or C405 to consistently and flawlessly perform the tasks that make your business work more efficiently. From IT-free installation wizards, to step-by-step configuration options, you're ready to go-hassle free. 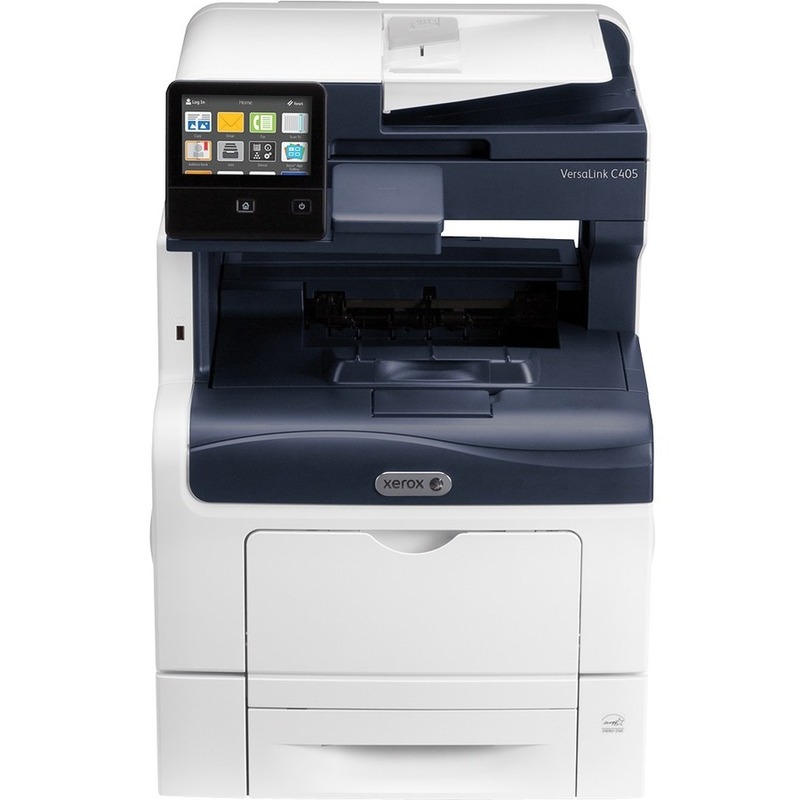 With the VersaLink C400 and C405, you can be confident that your documents will look their best-making you look your best-giving you the confidence you need when presenting to your customers. With the customizable, capacitive 5-inch color touchscreen, you can tap, swipe and pinch your way through tasks and functions with mobile- like ease. 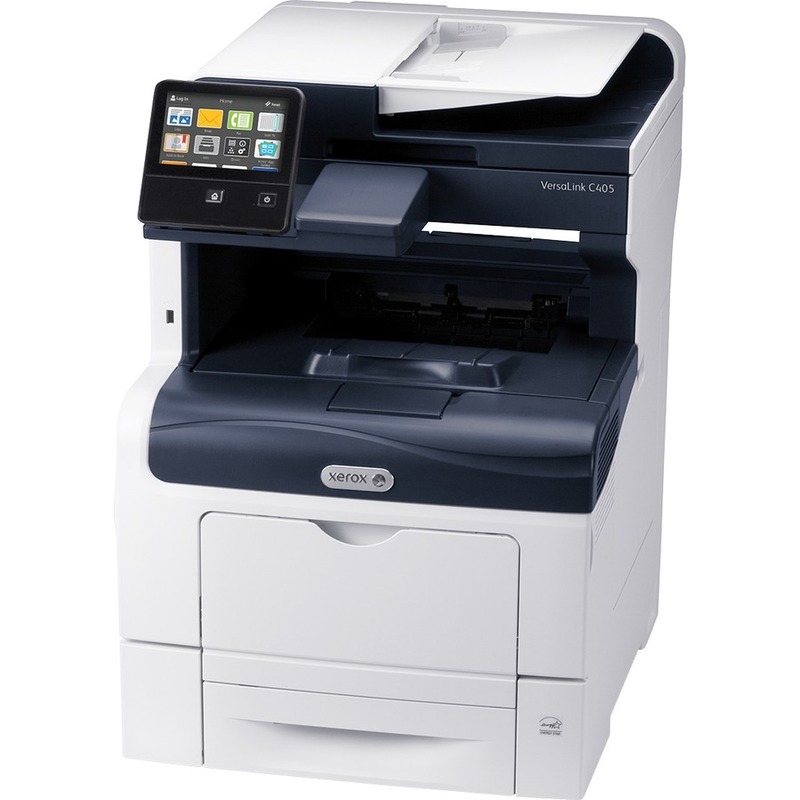 Preloaded Xerox® ConnectKey® Apps help optimize office efficiency, and on-screen access to the extensive Xerox® App Gallery provides expanded functionality-like the Xerox ® Easy Translator Service app , which quickly translates scanned documents into numerous languages. 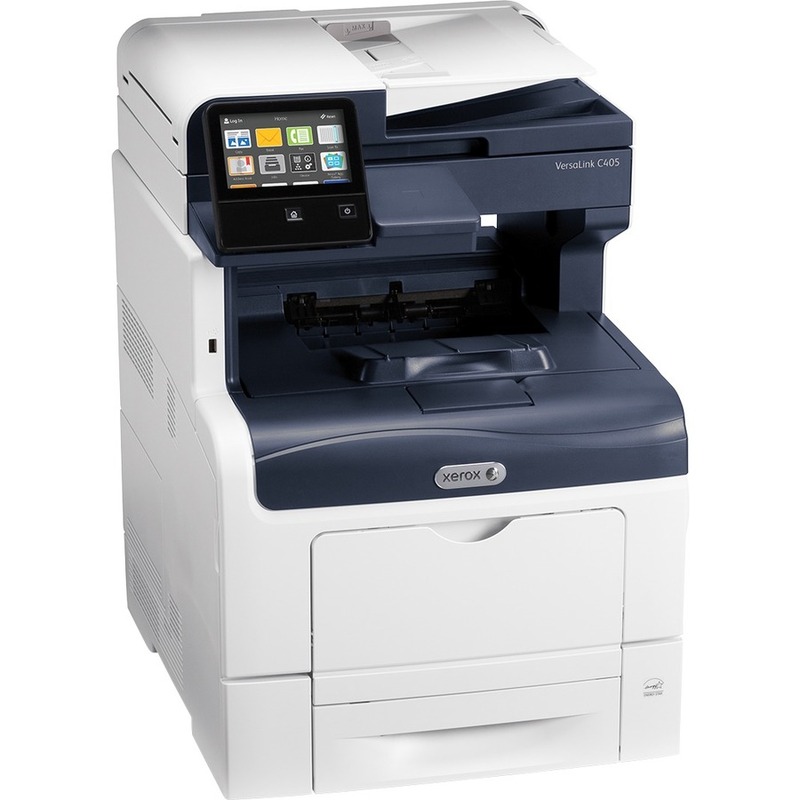 The VersaLink C400 Color Printer and VersaLink C405 Color Multifunction Printer gives you the freedom to work where and how you want-with out-of-the-box direct connectivity to Google Drive™, Microsoft ® OneDrive ® and DropBox™, and access to additional options through the Xerox ® App Gallery. Media Size Legal - 8.50" x 14", Letter - 8.50" x 11", A4 - 8.30" x 11.70", A5 - 5.80" x 8.30", 3" x 5", 5.50" x 5.50"